We’ve just written about UP AI Core mPCIe card part of the new AI Edge family from UP Board, but other members will soon be released including UP Core Plus board, that builds upon UP Core Cherry Trail board launched last year, with a choice of Intel Atom x5/x7, and Celeron/Pentium Apollo Lake processors. The form factor is different, but just like the first UP Core board, the Core Plus board supports expansion boards via docking connectors such as the Net Plus Ethernet expansion, and the AI Plus expansion board with Intel Cyclone 10 GX FPGA. 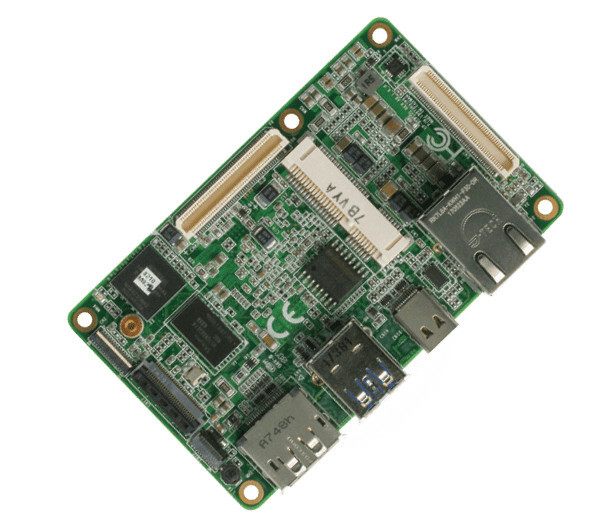 The board is said to be compatible with Microsoft Windows 10 Professional, Microsoft Windows 10, IoT Core, Linux (Ubuntu, Yocto), and Android Marshmallow. Somehow, there seems to be a MAX 10 FPGA in the mix too. 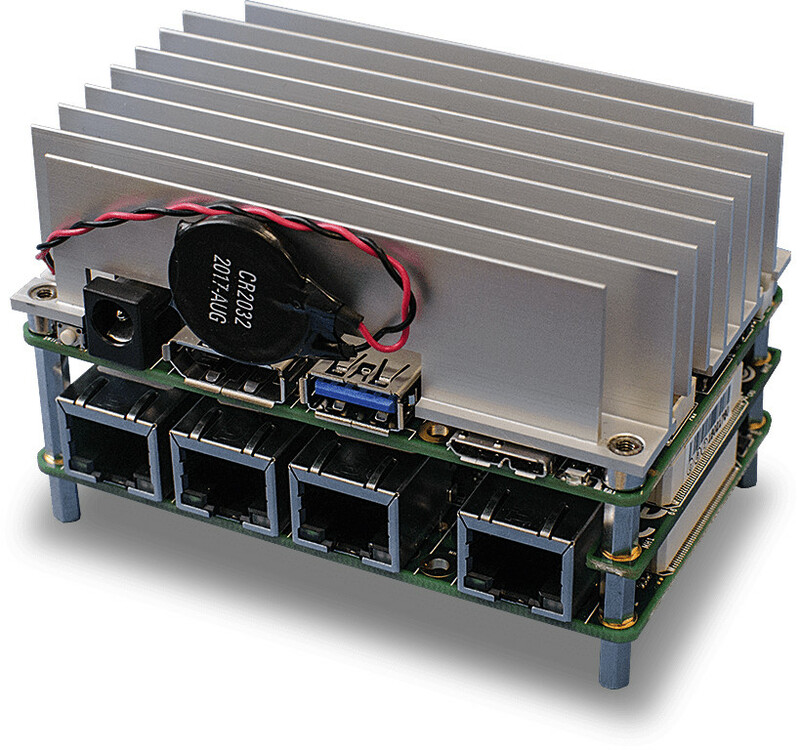 The FPGA expansion board can be used with Windows 10, Linux Ubuntu, or Linux built with the Yocto Project depending whether the required FPGA IP drivers are supported by the OS. More details about the three boards above can be found on UP Board’s AI Edge product page. No pricing, nor availability information has been released yet, but eventually we should expect the boards to join AI Core card on the AI EDGE section of UP online store.